This book offers a fresh, close-up look at the First World War as it was experienced by ordinary Canadian soldiers. Over 67,000 Canadians lost their lives in WWI and 173,000 were wounded. Their sacrifice was driven by a sense of duty to the ‘Mother Country'. This is the war as it was experienced by the tens of thousands of young Canadians. 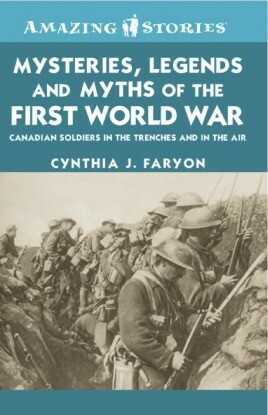 This book offers a fresh, close-up look at the First World War as it was experienced by ordinary Canadian soldiers. Over 67,000 Canadians lost their lives in WWI and 173,000 were wounded. Their sacrifice was driven by a sense of duty to the ‘Mother Country’. This is the war as it was experienced by the tens of thousands of young Canadians. Reading their accounts offers a no-holds-barred picture of fighting, life in the trenches, the human cost in lives lost, and the physical and emotional aftermath for survivors. Cynthia Faryon is an internationally published author and freelance writer residing in Victoria, B.C. Canadian born, she focuses her writing on Canadian content, covering topics such as travel, family issues, biography and history.